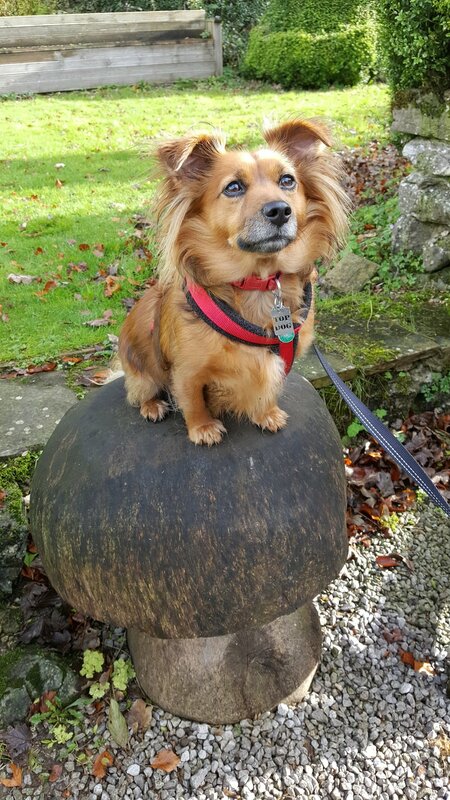 ENZO is our Jack Russell Chihuahua cross so you can either call him a Jack Chi or a Jackuahua! He is four years old and is very much part of Hoppy Holidays. He is very popular with many of our human and furry customers as he is very affectionate and playful. He is also very protective of his small animal friends carrying out regular head counts and making sure everyone is ok! LIKES football, playing with his canine mum, dad and sisters who live three doors away, hiding his treats in the garden and sleeping. DISLIKES having a bath, the sea and going out in the rain. Anything that involves getting wet basically! ENZO IS WONDERFUL WITH OUR VISITORS BUT IF YOUR PET IS LIKELY TO BE NERVOUS, PLEASE LET US KNOW AND WE CAN PLACE THEM IN AN ENCLOSURE OFF FLOOR LEVEL. YOUR PET/S HAPPINESS AND COMFORT IS OF PARAMOUNT IMPORTANCE TO US. TIGERLILY is our rabbit Jessica's daughter and she was born and brought up in this house. She is eight years old. Tigerlily's Dad Pepper was a Netherland Dwarf and Tigerlily is very petite like him but has long ears like her mum. Many people think she is much younger than she is because of her size. Depending on what mood she is in, she can be shy but she can also be playful and mischievous. LIKES hiding and running through tunnels, eating anything made of willow and jumping over things. DISLIKES being picked up. Very common amongst rabbits! ALICE is our Syrian hamster. Born in December 2017 she is the baby of the house. She is quite a character! She is named after Alice from "Alice in Wonderland" as she is very curious about everything and loves to know what is going on. 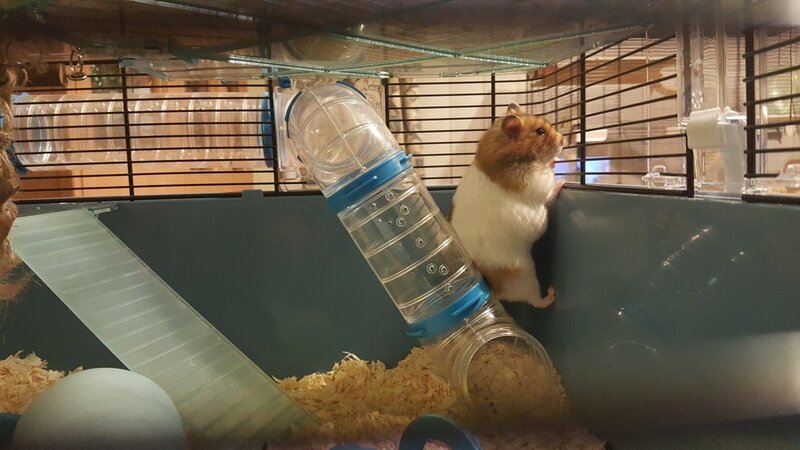 As you can see from her photo, she loves to pull herself on to her tube and watch what is going on in the living room and kitchen! Like many hamsters, she is super agile and loves to climb monkey-bar style across the top of her enclosure. DISLIKES things being moved in her enclosure. If you move something in order to clean her enclosure, she will move it back exactly as it was. She knows her own mind!